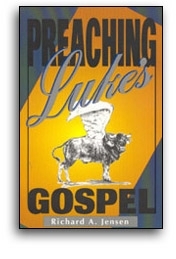 Chapters 9 and 10 of Luke are much occupied with the disciples. In 9:1-6 Jesus sent out the twelve with power and authority over demons and diseases. The disciples were sent out to preach the kingdom of God and to heal. In 9:51 Jesus set his face to go to Jerusalem and sent his messengers ahead of him to prepare his way. In today's text the mission is expanded. The Lord appointed 70 (or 72) and sent them ahead of his face to every town and place where he was about to come.